As a 501(c)(3) charitable nonprofit, ESC provides valuable management consulting and capacity building services to nonprofits throughout New England. 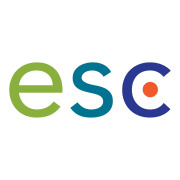 By engaging nonprofits with high-caliber volunteer consultants, ESC helps organizations to operate more effectively and better meet the needs of their constituents. Currently, we are looking for individuals with senior level experience and expertise in marketing, organizational development, finance, operations, management, strategic and business planning, outcome measurements and program evaluation who are interested in sharing their skills and knowledge with our nonprofit clients. More information about ESC is available on our website, www.empowersuccesscorps.org. If you are interested in becoming a volunteer consultant, please contact us at volunteer@empowersuccesscorps.org or (617) 357-5550.